The NCHS Grizzlies lifting program raised over $5000 for new and safer equipment. After a long period of time with old, rusty equipment, the NCHS Grizzlies lifting program got upgrades. Wayne Young helped the lifting program raise over $5000 for new equipment. 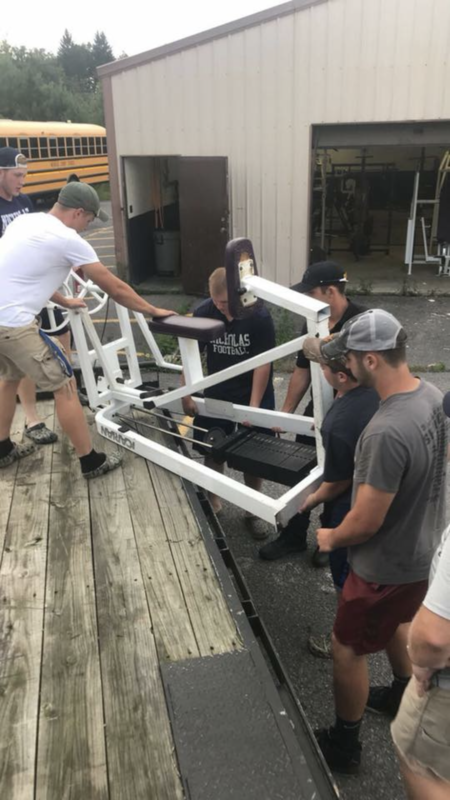 “The equipment was old and unsafe for our lifting program,” said athletic director and lifting coach, Gibson Milburn. Oak Hill Active Fitness gave the program great deals, and it only cost about $2000 for all the equipment. Billups Total Care and several football players helped load the equipment up and transport it back. The program received machines such as shoulder, abs, legs, and calf raises. Special thanks to Wayne Young, Billups Total Care, and Oak Hill Active Fitness.